A discussion on the trends of higher education system in India and Japan was conducted in the seminar hall 2nd block, CUFE on 25/06/2015. This discussion gave an insight about differences in education in the two countries. Initially, the entire team was gladly received by Dr.Iven Jose, Mr.Balachandran K and Ms.Merin Sebastian. 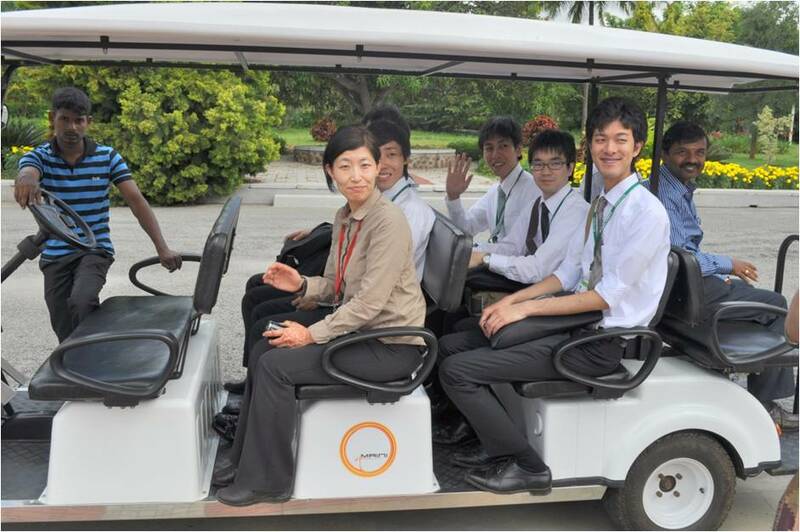 The delegates for the day were Mr.Ippei Nishida, Mr.Tetsuya Miyahara, Mr.Arta Makino, Mr.Katsunori Watanable and Mr.Yosuke Natami who are working in Kabusikigaisha System Consultant and currently doing their business training in SCII, System Consultant Information India. They were accompanied by a team from SCII which included CEO of SCII, Mr. Alexander C. Varkey. After the formal discussion they were taken for a campus tour followed by a discussion on higher education in India and Japan. The agenda for the day was a presentation by the delegates on what is learning? 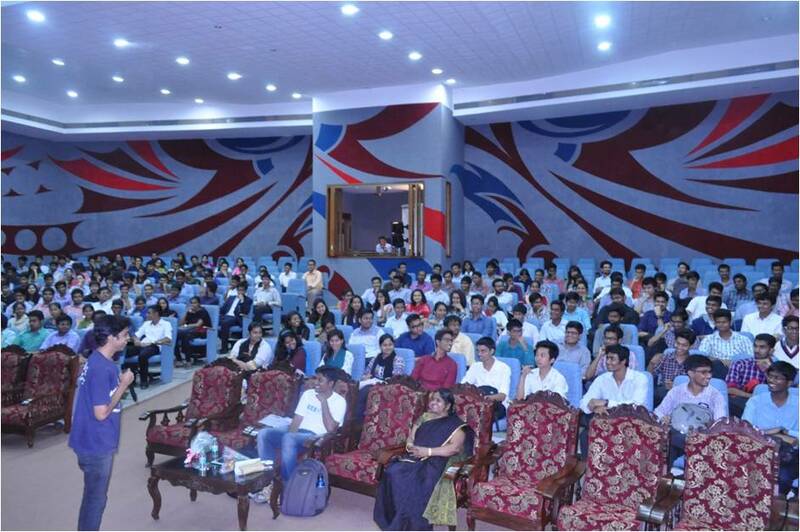 What is work?” and interaction with the students on “Higher education in India and Japan”. 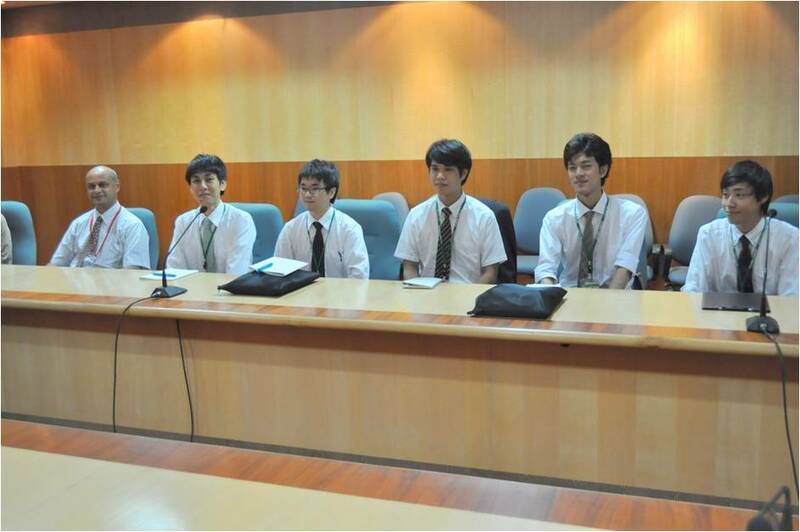 The discussion was between students of final year M.Tech, final year B.Tech and Japanese delegates. They started with an introduction about themselves and of their employer KSC, Tokyo which was established in the year 1968. They explained how the company got well entrenched and growing across the globe and how their branch in Tumkur, India started which is the place they are currently undergoing training. After completing their introduction about where they belong and what they are, they raised some relevant questions such as “what is learning? 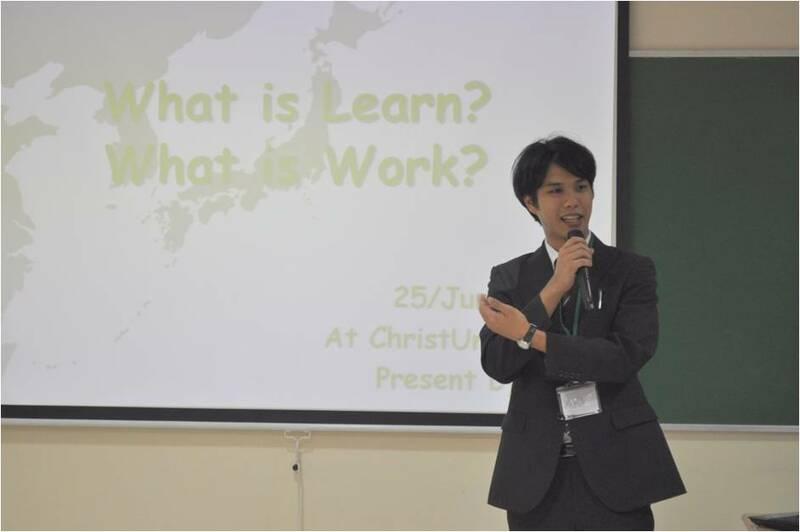 What is work?” They described how education is in Japan and how their recruitment processes are carried out. Our students were divided into two groups and the discussion started with our introduction followed by a few questions on higher education and job opportunities. Students reported that it helped them to understand that there are two streams viz technical and non-technical. 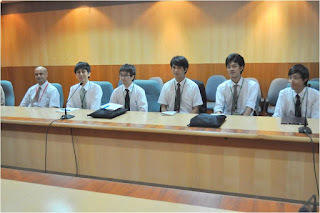 It intrigued them to learnt that the IT Companies there do not restrict them to choose only science subjects, and that the ratio of people who do higher studies in Japan as compared to India is less. After this there was a discussion on job hopping or attrition where it was found to be less in Japan in contrast to India. At the end of the session the gathering was briefed about the discussions that happened. The whole session was interactive and very informative that helped our students to understand a different culture and education system. The students learnt that Japan is well known for mechanical engineering and innovations and that India stands third largest in the world in terms of higher education. It was suggested that some methods which the Japanese are rich in may be adopted by the Indian system and vice versa. Everyone had a wonderful time having an immensely interesting talk with the foreign delegation and students from both sides absorbed a lot of things. The discussion ended up by a concluding speech followed by vote of thanks. All great things have memorable beginnings and so can be said about the recently held inauguration ceremony of the Life Science Association of Christ University. While inaugurations are usually times of excitement and cheer, this one was in fact special in its own way, mainly because it commemorated the commencement of a newly found association that aimed at diversifying the learning experiences and widening the horizons of the students from across the disciplines of Botany, Zoology and Biotechnology. The ceremony began with the formal announcement of the three elected representatives namely, President Michelle Correa of V BCB, Vice President Aljo Anand of V CBZ and Secretary Shalomi Rachel of V BCZ and the core Committee members by the Life Science Association Coordinator, Dr Suma S. The members of the association included all the faculty and students of the department of Biotechnology, Botany and Zoology. The Chief Guest of the day, Dr. Reeta Mani, Associate Professor, Department of Neurovirlogy, NIMHANS captivated the audience with her thought provoking and intriguing talk on ‘Emerging Viral Diseases’. The lecture was followed by a highly interactive session with the students. The Dean of Science, Professor Nanjegowda and the Life Science Department HOD, Father Jobi Xavier addressed the gathering and wished the Association good luck for all its upcoming endeavors. In short, the inauguration of the Life Science Association that took place on the 18 June 2015, was a well organized event that inspired the young minds to work towards the success and enrichment of both themselves as well as the Association. 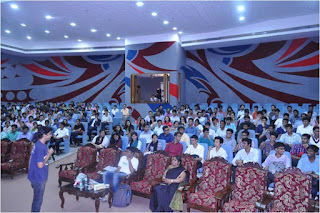 The Science Fest 2015 was inaugurated by Padma Bhushan Dr K Radhakrishnan, the former Chairman of ISRO and Secretary of the Department of Space, on August 10, 2015. The function which was held in the Main auditorium in Christ University Campus started with an invocation dance by the Natyarpana team. The welcome address was given by Dr Suma S, Coordinator of Science Forum. After the inspiring message by the Dean of Science, Dr Nanjegowda N M, the Vice Chancellor Fr Dr Thomas C Mathew spoke about the importance of Science in day to day life and motivated the students to come up with exciting discoveries. The Chief Guest of the day, Dr K Radhakrishnan gave an excellent speech and inspired the students to study science with passion. He spoke of the achievements our country has made in Space Science, competing with the heavily funded developed nations. He dedicated all those success to scientists like Dr A P J Abdul Kalam. He also advised the students to be engaged in some hobbies of their choice in order to refresh their minds amidst studies. The Science magazine “Catalyst” and the Computer Science magazine “Infobyte” were released by the Chief Guest. The Vice Chancellor presented a memento to Dr Radhakrishnan. This was followed by a beautiful video presentation on Science Fest, depicting the features of each department fest. The vote of thanks was given by Prof Mukund N Naragund, member of Science Forum. The function concluded with the national anthem. The advent of the new academic year as any other brings along another set of new opportunities at CUFE for students to showcase their skills and talents. The first of such glorious events was Darpan 2015, which was held from 6th July – 13th July. 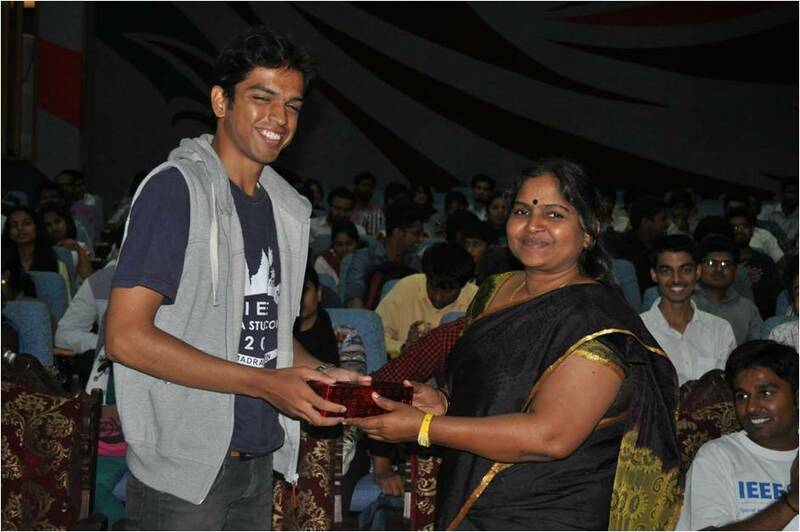 Darpan provided a stage for a large number of students to perform and prove their knacks and abilities. Ranging from literary events like Quiz & Extempore to breathtaking dance and musical events, Darpan had many participants this year, also comprising of a strong number of fresher’s who hardly had any time before their courses’ wheels got turning. All the events happened tremendously well with a lot of enthusiasm and spirit, which is very much needed to encourage healthy competition, and for the development of the university such as ours in stature. Nevertheless, the Student Welfare Organization should be appreciated for portraying their skills professionally in organizing all the events with zeal. In conclusion, Darpan proved to be a platform for many brilliant performances. To some, it stood as an opportunity to show their talents and to others, a chance to hone their skills. On the 7th of July, for the first time ever, a 5000m run was held at Kengeri campus by the Department of Physical Education and Student Welfare Office. The theme for the marathon was ‘Fitness & Endurance.’ The goal was to raise awareness among the students about staying healthy while at the same time exposing the students to the lusher, greener side of the campus. The event was well received with over 400 participants consisting of both students and teachers, who were not only energetic, but also determined to win the marathon. Moreover, the participation even extended into the PUC residential with many enthusiastic PUC students attending the run. The event started out with some kind and encouraging words by Prof. Glady Jacob, who was also an inspiration to all of us as he himself took part in the marathon. However, the excitement roared when Fr. Benny Thomas (Director – CUFE) had inaugurated the marathon as the students began their marathon. The top 3 winners among the boys, girls, teachers and PUC were awarded cash prizes while the people who finished in the top 50 received complimentary gifts. It was an event well cherished by the students as they had a memorable time with their friends but at the same time were able to gain some awareness on the need of staying healthy. 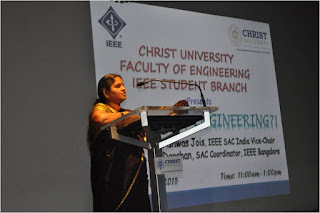 After having grand Inauguration of the CUFE IEEE SB on the 22nd of June, 2015, the CUFE IEEE SB came up with an awareness drive: "IEEE & WHY ENGINEERING?!" on the 27th July, 2015 in the Block I Auditorium with beneficieries of 500 memebers. 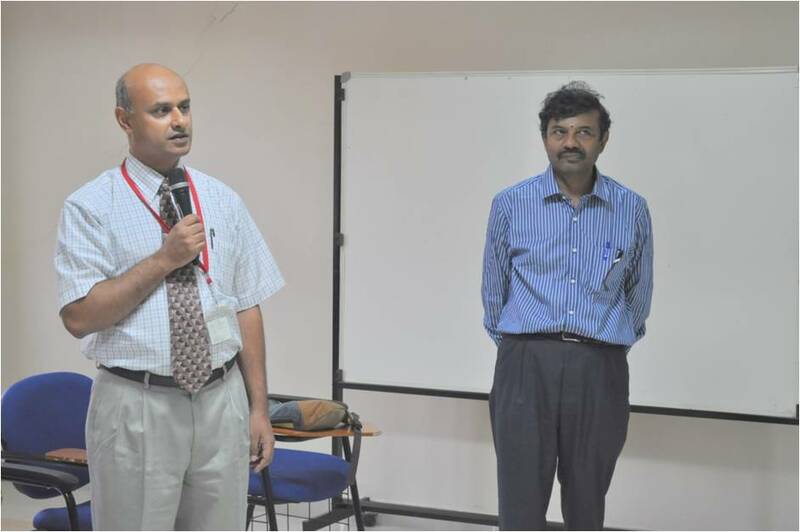 The speakers for the event were Mr. Vishwas Jois, SAC Co-Chair, IEEE Bangalore Section and Mr. Darshan Shivakumar, SAC Coordinator, IEEE Bangalore. 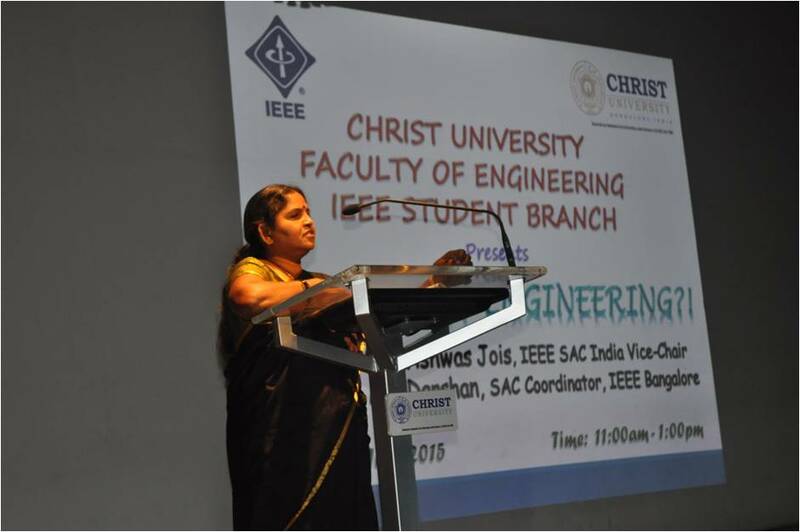 The gathering was welcomed by Dr. S.Suganthi, CUFE IEEE SB Counselor wherein she spoke about the existence & purpose of the student branch at CUFE Campus. She introduced the speakers who have been active IEEE members in Bangalore section for the past few years and also during their college days. Mr. Vishwas initiated the first session with 250 students that comprised of the 5th and 7th semesters of CSE&IT, EEE and ECE. He spoke about Engineering and how it has changed a common man's life. He then went on to talk about IEEE. 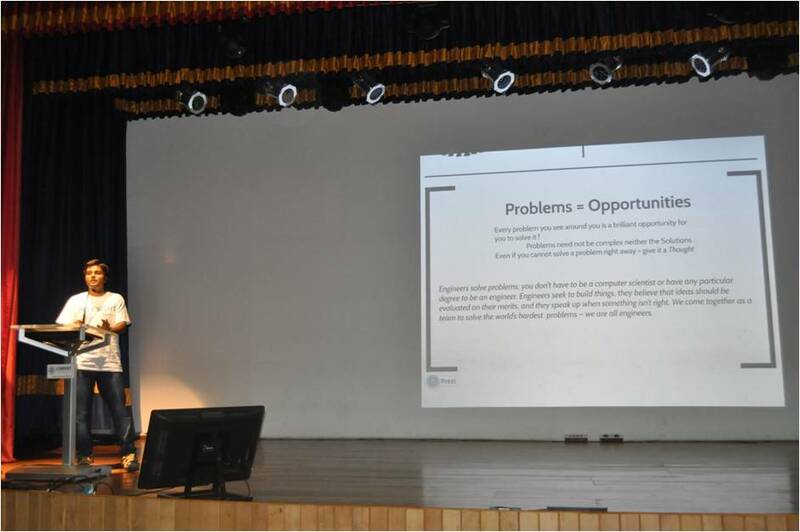 The session was continued by Mr. Darshan, who spoke about how to join IEEE and the benefits of joining IEEE. 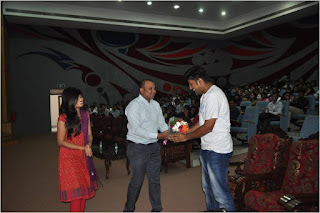 The second session with nearly 300 students of 3rd semester B.Tech and 1st and 3rd semester of M.Tech CSE & IT, EEE and ECE was initiated by the speaker Mr. Darshan and concluded by Mr. Vishwas. The CUFE EXECOM members announced a competition for an Official Logo for CUFE IEEE SB. Also volunteers were invited to join for organizing the IEEE SYW Leadership Congress 2015, planned to be held at CUFE Campus by IEEE Bangalore Section in collaboration with CUFE IEEE SB during August last week. The speakers also highlighted the significance IEEE for the human community by mentioning the frequency band designations and standards issued by IEEE 802 which are widely followed globally for wireless networks like Wi-Fi, Wi-Max, RFID, Blutooth, Zigbee. 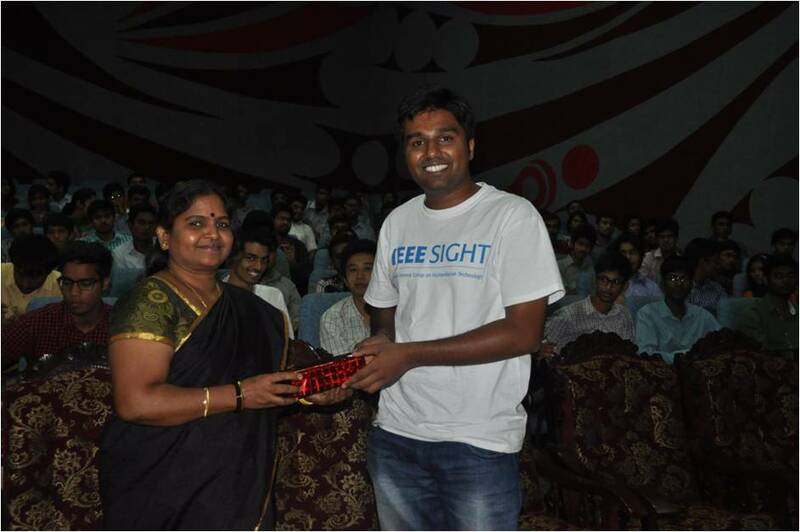 The event was concluded with Dr. S.Suganthi felicitating the speakers with mementos. Finally the technocratic crowd dispersed with a Take Home Message of “Become a valued member of IEEE soon and feel proud”!